There are multiple ways to use ePortfolios during studies. This article presents various digital tools and one successful case of portfolio use at the Lapland University of Applies Sciences in Finland. 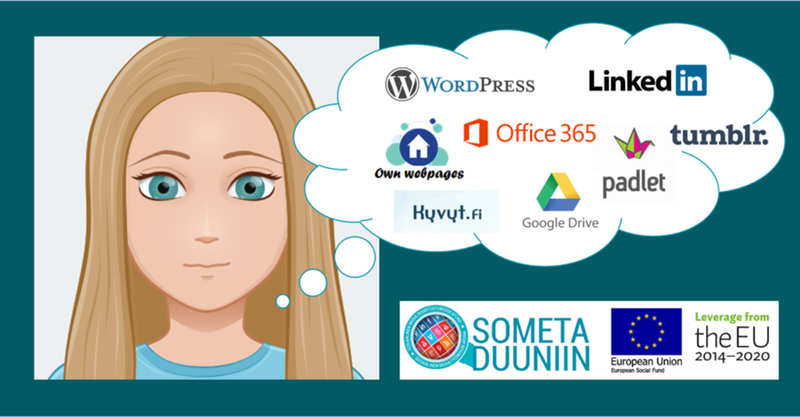 The example is provided by the ESF-funded Sometaduuniin (Social Media and Its Equipment as a Way to Working Life project), which aims to increase the use of virtual tools and social media to support employment in Finland. Digital tools should be used in portfolios whenever they can add value – not just for the fun of using them. Besides that some educational institutions offer a portfolio platform such as Mahara or Kyvyt.fi for their students, there are various free online tools available (e.g. see examples provided by Lisa Burke and Kathryn Servilio in their article or in the Educational Technology blog). When building a portfolio on a platform that is not connected to one’s school account, it is harder to get technical support from staff. The advantage is that the portfolio continues to exist after graduation too. Before deciding on the portfolio platform, consider the following questions: Should your portfolio be search engine friendly and easy to find? Do you want to control who gets the access? Would you prefer multiple different portfolios or just one? Is it important for you to network within the portfolio platform? Do you want to make it visually unique? Would you like to embed files or videos or is linking enough? Check here for one comparison of the options. Both blogging and building a static portfolio webpage are great ways to showcase your talent. Many blog and website tools such as WordPress.com and Wix.com offer a free version that anyone can use for non-commercial purposes. Both platforms are visually customizable and offer similar tools such as analytics, photo grids and a possibility to embed media, which all are very useful. Many social media channels can be used as a portfolio as well. Students can make a showreel or introduction video about themselves on Youtube, launch a separate Instagram profile just for showcasing their talents or previous projects, create a LinkedIn profile and write blogposts to LinkedIn Pulse, tweet thoughts using personalized hashtags or build up a Facebook page or group around something they are passionate about professionally. One way to use Padlet is to make a portfolio, and cloud services such as Office 365 and Google have their own tools for portfolio use. Here you can find one example of how OneNote has been used. Pinterest works well for picture-based portfolios. Canva.com, a free graphic-design tool website, lets you design a visual resume or make professional-looking matching social media headers to all the channels. Entrepreneurship-minded students can even showcase their special skills by writing an eBook, sending newsletters or even creating an online training course. Only the sky is the limit! When the idea of compiling a portfolio during the studies is discussed with lecturers, one of the typical worries that arise is who is going to guide the students with technical questions (Nykänen 2018, 178–192). Thus, it is important to integrate the learning of the tools in the curriculum and portfolio process. Below we present one success story from the Hospitality Management Programme at the Lapland University of Applied Sciences and share some ideas on how the integration could be done even better. The Degree Programme in Tourism at the Lapland UAS has for several years now included in studies assignments that improve students’ skills in showcasing their expertise digitally. A new curriculum with the competence-based criteria enables the creation of a continuum of these assignments so that upon graduation, the student has an individual digital portfolio and the skills to take it further. It is important that the students can decide which digital tools are best suited for their purposes, after using a versatile selection of them. Also, these skills are equally important in the world of work, benefitting the future employer’s business. 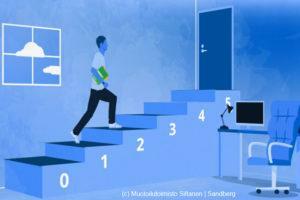 The first-year students need to learn numerous tools for studying, so the start needs to be light. During the study unit “Orientation to world of work” the student “is able to create a competitive edge from his/her own hospitality but also personal skills”. The idea of personal branding and digital portfolios is introduced to the students, and the first task is to gather all evidence accumulated over the years, from school certificates to testimonials, references and samples of work, in a cloud service. Links to these documents are used in the first CV and job application for their first study-related field work. The second task is to create a Google form for gathering feedback and references, the first one from the field work. The feedback is then simply added into the field work report. In the second-year marketing studies, students create blogs and write reflective posts on how to apply the theory when working on the term project. The principles of blogging including search engine optimization (SEO), copyright issues as well as storytelling are taken into practice. An important aspect is also the monitoring of comments and the use of blog statistics. In this connection, also personal branding is discussed, and students often find that this way of communicating suits them well. According to Lapland UAS principles, students cannot be required to create social media accounts. Therefore, only platforms that students can access with their school accounts are commonly used, such as Blogger included in G Suite for Education. After the study unit, the student may delete the blog. Generally, blogging is seen as welcome change to more formal reports. Also, skills in SEO and ethical issues are considered to be skills needed at workplaces. This year, the third-year students created a plan for personal branding and showed how they had started networking. Most of them chose to use LinkedIn as well as video CVs or pitching for a job. Around a quarter of the group had a LinkedIn account but very few had been actively using it. All of the accounts greatly improved during the coaching. This group had not created a folder for documents showcasing their knowledge, skills and abilities (KSA) earlier. This was a most successful assignment as the students recognized its importance and usefulness even after having received the final grade. Now the studies have been implemented by one teacher who teaches the group in each year. The next steps are to create a continuum, including for example teacher tutors in the process, so that they would discuss the student’s professional path with the help of the digital portfolios in their regular check-ups. In two years’ time the first students will have gone through all the steps of this process. Discussions with other lecturers will take place so that good work examples are produced also during other studies. Then some of the tools presented above could also be tested. That way the students will have even broader opportunities for compiling impressive ePortfolios. As described above, it is important to choose appropriate tools for the portfolio process and to plan the content. As educators, we can support the content formation and digital skills by analysing what kind of content can be produced for the ePortfolio during the studies. If we consider what kind of competences are required to be able to utilize internet and social media in the world of work and to get employed we already can list various competences that can be trained while creating a portfolio. We invite all Finnish educators to join the MOOC offered by the Sometaduuniin project during academic year 2018‒2019 to gain further ideas. To follow the project and benefit from the results please visit our Facebook page or website (both mainly in Finnish). 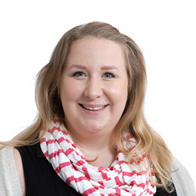 Miina Kivelä is a senior lecturer in digital marketing who works in Tampere University of Applied Sciences. She is a vocational teacher with Bachelor’s degree in ICT Entrepreneurship and Master’s Degree in Service Business and Project Management. Her main topics of teaching are social media, digital marketing and business planning. Miina is passionate about content creation and personal branding. For further information, visit Miina’s LinkedIn-profile (https://www.linkedin.com/in/miinakivela). Outi Kähkönen has an MA in Translation Studies. She is a senior lecturer at the Lapland University of Applied Sciences / Multidimensional Tourism Institute in Rovaniemi, Finland. Her main topics of teaching are eTourism, event management and languages. Her special interests are online teaching and elearning. For further information, visit Outi’s LinkedIn profile (https://www.linkedin.com/in/outimariakahkonen). 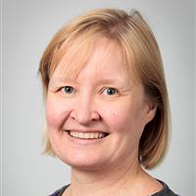 Anna Nykänen works as a planning officer of education and regional development in Laurea University of Applied Sciences in Uusimaa Finland. Anna has completed a master degree programme in educational sciences and devotes her time to develop education and guidance processes. 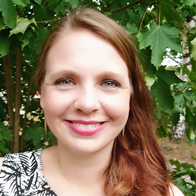 For further information, you can visit her portfolio (https://kyvyt.fi/user/annpohj-laurea-fi/ydinosaaminen).